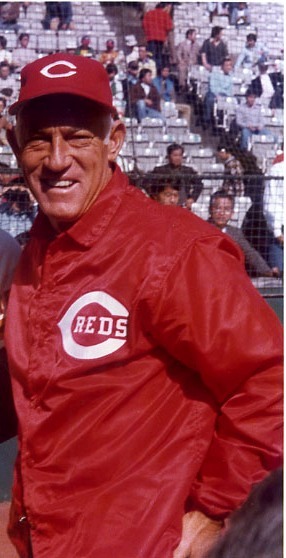 There was never a manager like Sparky Anderson. He’s one of the last guys to tell a team “I’m in charge” and somehow have them adore him for it. The guy was also the best quote in baseball. Many a reporter’s empty notebook was filled gratefully after a five minute visit with the original white wizard. He also adored kids, was a gentleman around women, and knew when to turn it off in the off-season. He was George during those months, but always Sparky to us. Gone much too soon, at 76. But to honest, if he was to lose his memory, or the ability to recognize friends, it would not have been a happy final inning. Maybe better he lives on in our memories, forever joking, pointing, yelling, talking, telling tall tales and reminding us of a simpler time in baseball, when managers managed and players played and the conversation was friendly and unhurried and something you always wanted to remember and now can’t forget. This entry was posted on Friday, November 5th, 2010 at 10:33 pm and is filed under MLB. You can follow any responses to this entry through the RSS 2.0 feed. Both comments and pings are currently closed.